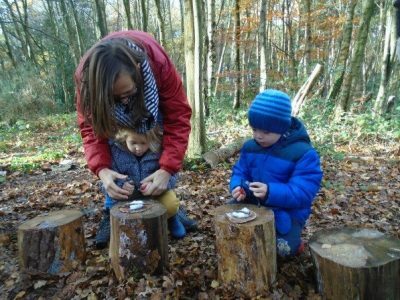 As the sun shone down on a cold crisp Saturday morning, we braved the woods for another Forest School Family Day with Tom and Bruno. 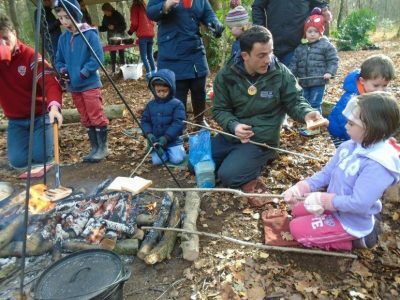 Parents and children alike had a fabulous time exploring the woods, collecting wood and twigs for our fire, making toast, eating sausages and toasting marshmallows. They also made their own medallions with the bowsaw and used fire steels to light the fire. 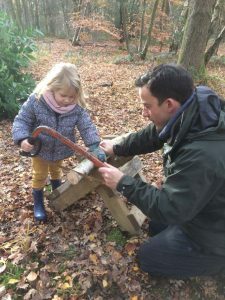 Over the last few weeks at Forest School the Pre-Prep children have really been engaging with the outdoors, learning so many life skills. Reception have really been fascinated by the mushrooms and fungi growing in the woods. 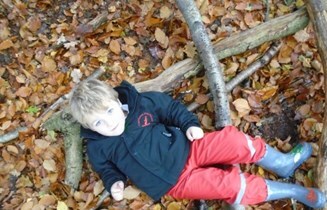 We have also been amazed at the different colour leaves we have seen and some of us took some time out to lie on our backs and others made shapes with sticks. The opportunities are endless when you are outdoors and there is something for everybody to enjoy!